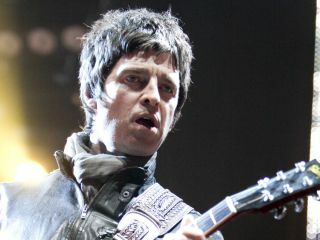 Is a lot riding on Noel's first gigs as a solo artist? Noel Gallagher is set to play his first official shows as a solo artist at this year's Teenage Cancer Trust Shows, which start in February and run through March at the London Royal Albert Hall. Gallagher, a supporter of the charity, has performed at past shows, but these headline appearances on 25 and 26 of March will mark his true coming out solo act since he split from Oasis last year. Other acts on the bill, co-organized by The Who's Roger Daltrey, include The Who (no surprise there), Arctic Monkeys, Depeche Mode and the much-ballyhooed 'supergroup' Them Crooked Vultures. Tickets for all performances go on sale Friday, 5 February. See Teenagecancertrust.com for more information. It should be noted that the reformed Suede will be playing without guitarist Bernard Butler. You can also order tickets online at Gigs And Tours.